3 tablespoons dark or white balsamic - my favorite options for this are: coconut, raspberry, apricot, tangerine strawberry, maple, espresso, lavender, or traditional. 1/2 cup cocoa powder for rolling the truffles or use 6 oz. tempered (melted chocolate) for coating the truffles. Place the chopped chocolate in a medium size heat proof bowl. Heat the cream and salt in a heavy bottom sauce pan over low heat until it just begins to steam. Do not allow it to simmer or boil. Pour the cream over the chopped chocolate and allow to sit for 2-3 minutes without stirring. Stir the mixture gently until all the chocolate is melted. Add the balsamic and stir to combine well. Cool to room temperature and then place the bowl in the refrigerator, covered until the ganache has become cold and can be scooped and formed into balls. Have a baking with a sheet of parchment ready that will fit into your fridge or freezer. 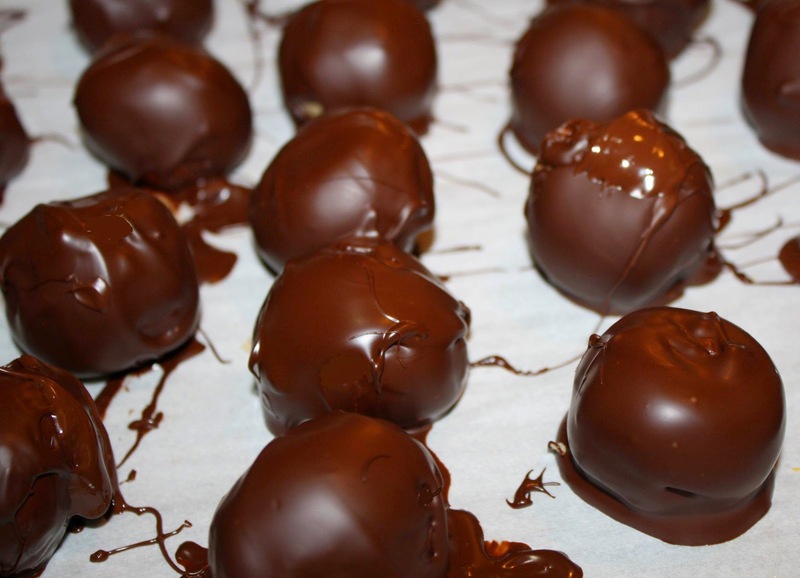 Take 1 teaspoon of cold balsamic ganache and quickly roll between your hands to form a ball. If you spend too much time trying to get the shape just right, you'll begin to melt the ganache and it will be a mess. Place the balls on the prepared baking sheet and then place the sheet in the fridge or freezer to firm up the truffles when you're done rolling all of them. Now you can roll into cocoa powder or in tempered (melted) chocolate. However, these are best stored in single layers, separated by parchment or wax paper in a sealed container in the refrigerator. They can be taken out and served at room temperature.